The amazing video to iPod converter is not only an easy-to-use movie converter tool but also a powerful audio converter tool which can convert audio files including WAV, WMA, MP2, AC3, RA, M4A, OGG, AAC etc. to iPod MP3. The movies to iPod converter support all types of iPod including iPod classic, iPod nano, iPod touch, iPod touch 4, iPhone and iPad. 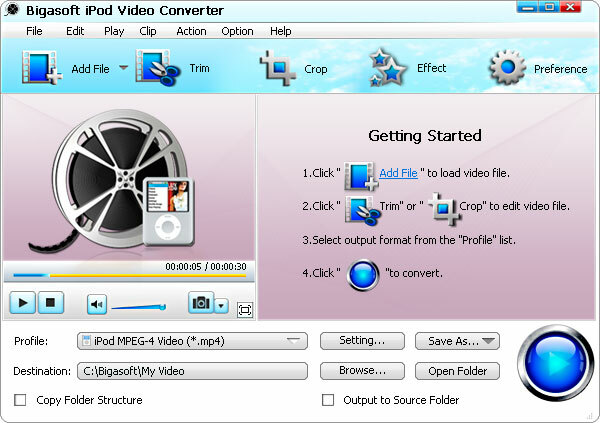 Moreover, the versatile video iPod converter can adjust video effects like video cut, trim, crop, merge, clip, add watermark, rotate video, and so on to help you make your unique creative movie with ease. 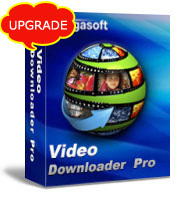 Free download the video conversion tool and enjoy your favorite movies or music on iPod right now! 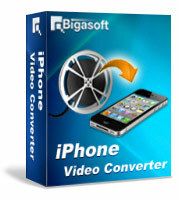 Ready to try or buy Bigasoft iPod Video Converter? 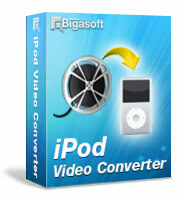 Bigasoft iPod Video Converter is designed for iPod movie fans to easily watch video collection on all iPod types. It is newly updated to support iPod touch 4. The iPod touch 4 video Converter can convert high-definition video including high quality 1080p or 1080i MKV, M2TS videos to iPod touch 4 H.264 720p video. Bigasoft iPod Video Converter converts movie, film and music video to iPod video MP4 with excellent output quality, and also supports iPod H.264 1.5-Mbps video at 640-by-480 resolution, iPod touch 720p 30fps video at 1280-by-720. Convert all kinds of movies to iPod videos which can be watch on various Apple iPod devices like iPod classic, iPod nano, iPod touch, iPhone and iPad. It can serve as a WebM/VP8 to iPod decoder and WebM/VP8 to iPod converter which can convert WebM/VP8 to iPod video MP4 and extract music from WebM/VP8 and save as iPod MP3. Convert audio files like WMA, WAV, OGG, FLAC, APE, RA, AC3, MP2, AIFF, AMR, and so on to iPod MP3, M4A or AAC to hear your favorite songs on iPod with ease. Rip music from your favorite movie or music video to listen on iPod. Take video snapshot to capture a certain scene in the video as you will. By super easy and intuitive user interface, only 3 steps, and you can easily enjoy your favorite movies on iPod. 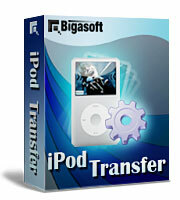 Bigasoft iPod Video Converter supports multi-tasking, multi-core CPU processing and NVIDIA CUDA GPU conversion. iPod movie conversion is 10X speedup. The handy iPod video converter is compatible with all Windows including Windows 8, Windows 7, Windows XP, Windows Vista, and Windows 2000.